"This study demonstrates for the first time that Seagreens Ascophyllum nodosum is a potential replacement for salt and can be used to achieve salt levels below the recommended limit specifically in breads with additions". 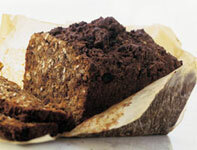 A small number of quality British bakers have used Seagreens® to replace salt in bread since the early 2000s. When in 2007 the British Government funded research to find healthy, natural alternatives to fats, sugar and salt in manufactured foods, Seagreens was invited to participate by the British supermarket Asda. This was the first scientific research in Europe to determine whether whole, human food quality wild seaweed could help reduce the excessive use of salt (sodium chloride) as a preservative and flavour enhancer. It concluded that Seagreens® wrack seaweed may be able to replace at least 50% of salt, overcoming food industry concerns about taste, texture, structure, shelf life and safety. The initial studies 2007-8 were carried out in organic pork sausages as well as bread, but salt reduction with Seagreens® may have potential in a wide range of foods. The main findings await publication in the International Journal of Food Science and Technology, but please contact Seagreens® Certified Ingredients or our ingredient distribution partner Gee Lawson if you would like further information. The research conducted at Sheffield Hallam University is summarised in a Centre for Food Innovation leaflet, and the chemical analysis of a unique mix of Seagreens® human food quality seaweed was conducted to demonstrate its food safety. Organoleptic trials in bread were conducted between 2008 and 2009, because bread is the main dietary source of excess sodium chloride in the population. A significant majority of panellists preferred the taste of a 50-50% salt and seaweed mix using Seagreens® medium-sized dried seaweed granules instead of salt alone. In certain foods, Seagreens® can now be said to have satisfied most of the concerns that producers and manufacturers and retailers may have about using it as an ingredient in a range of foods. As a result, research is continuing at the University and Seagreens' customers in baked goods, cereals, meat and other products. If seaweed can replace less desirable ingredients like salt, or simply enhance food with its outstanding profile of nutrients, it may respond in other ways to a variety of health concerns. On this basis an initial study in obesity was begun at the Sheffield Centre for Food Innovation in 2009, to see whether a larger amount of Seagreens® than had been used in the bread trials, might have an effect on satiety in overweight male subjects. It was the recipient of the Alpro Foundation Masters Award in November 2010. Please see under 'Iodine' in Seagreens Healthcare Summary for more information about iodine sufficiency.